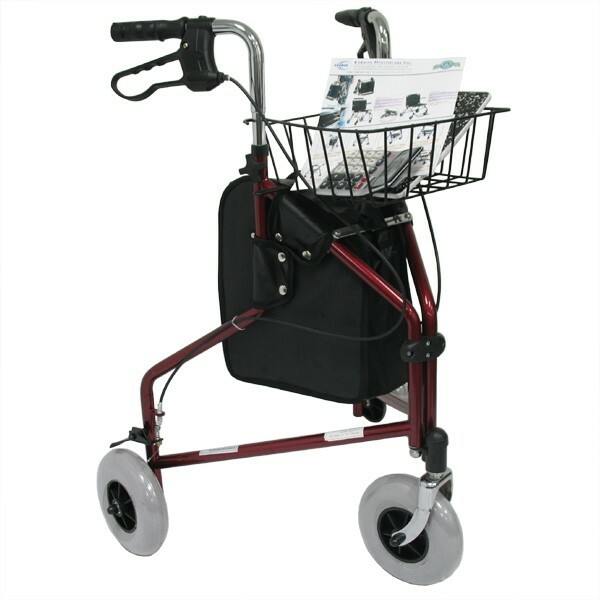 The Karman R-3600 three-wheel rollators are specifically designed to give you additional stability and comfort while walking. 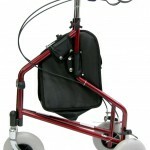 These practical walking aids offer increased flexibility to perform daily activities in a less tiring manner. 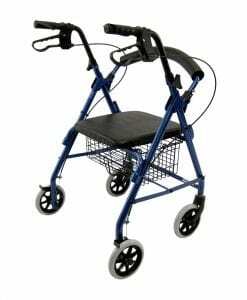 The 3-wheel design provides superior maneuverability with a lightweight design. 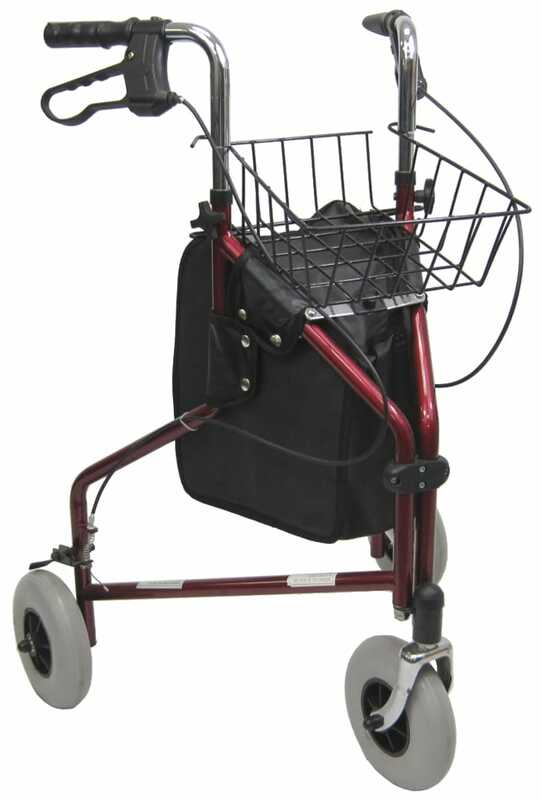 This rollator folds and fits in any vehicle trunk or back seat. 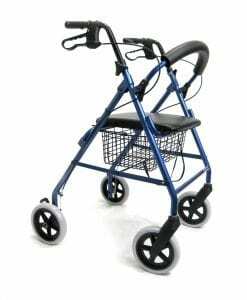 The handbrakes work well with only a slight squeeze and pressing down on the brake lever applies the parking-brake. 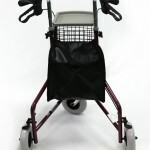 The front basket simply hangs on the frame so it can be removed at any time without tools. 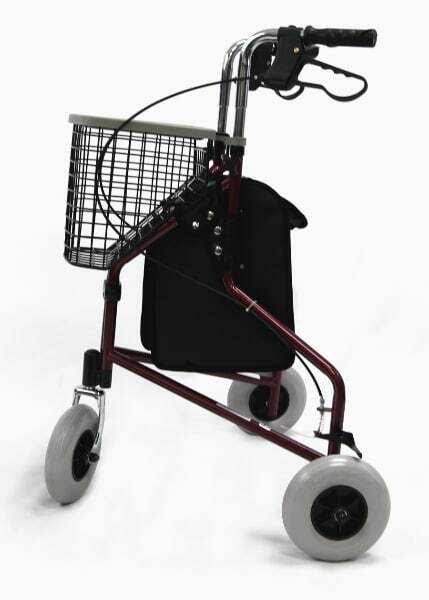 Wide non-marking rubber wheels work well on all surfaces. 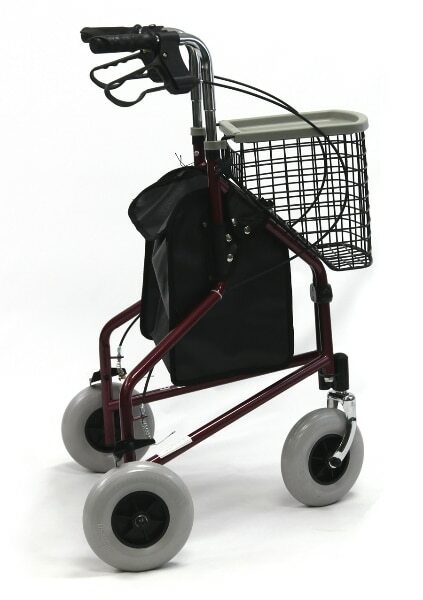 The R-3600 offers a higher handle height for taller users. 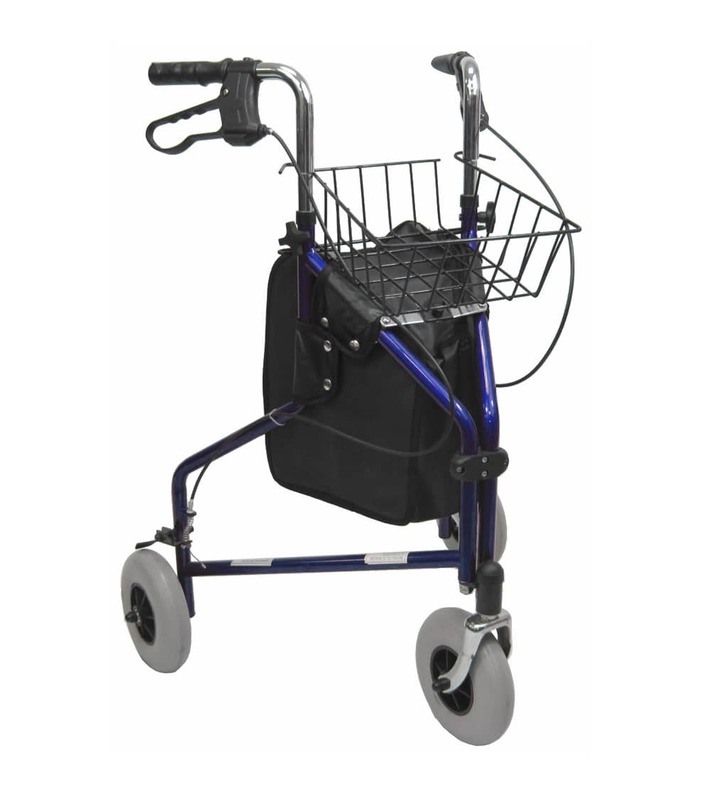 Handle range is 35.5" – 38" and adjustments are easily made without the use of tools. 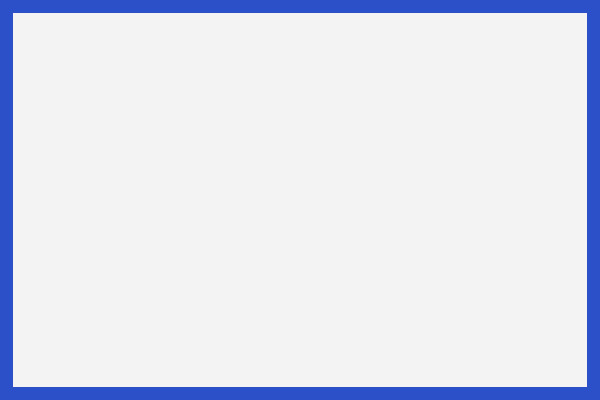 Overall Height 35 – 41 inch. 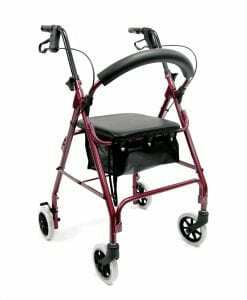 Width Between Rear Wheels 21 inch. 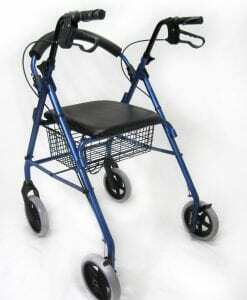 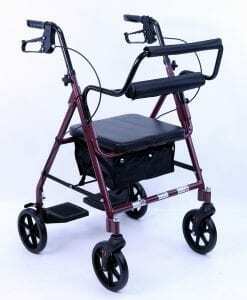 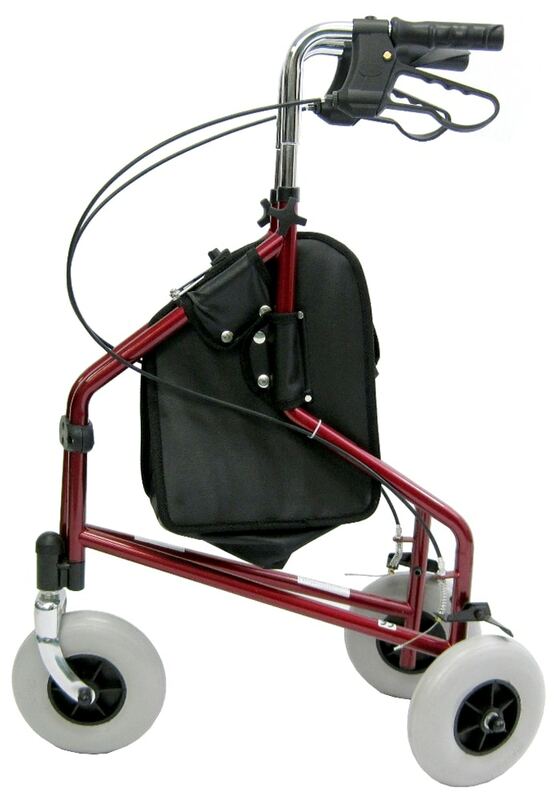 This is an outstanding rollator-walker, and I recommend it very highly. 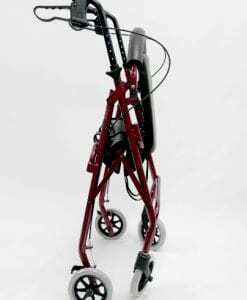 It has a sturdy steel frame, and yet is nicely lightweight at about 13 pounds. 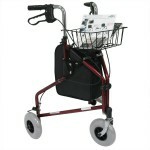 Having 3 wheels, it is narrow and its size makes it convenient for going through indoor doorways. 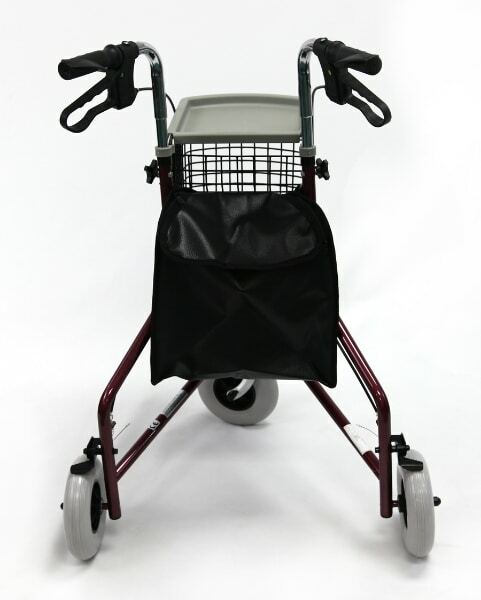 It folds easily to a narrow width for easy placement in our car’s trunk, or even behind the front seat of our car. 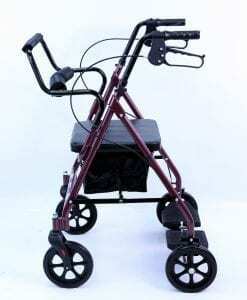 The hand brakes are easy to use and hold well. 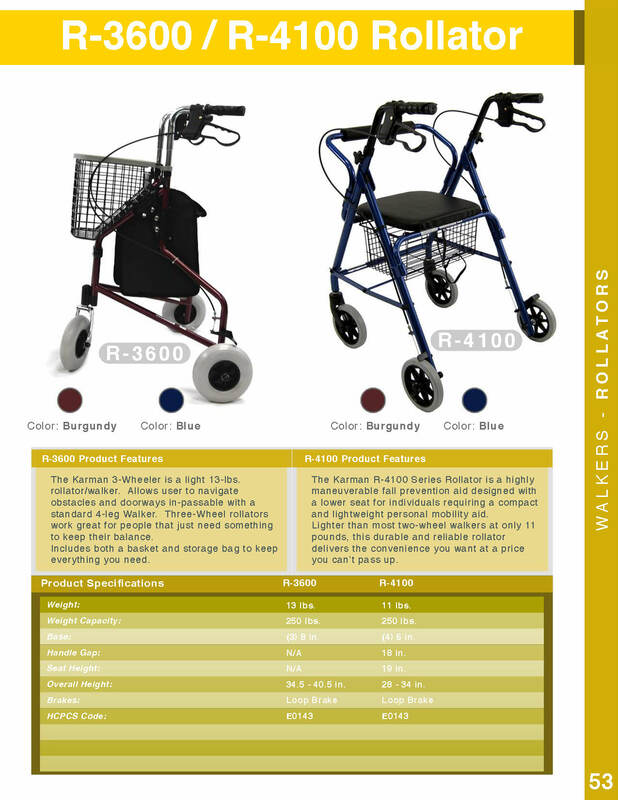 There are some especially unique features about this rollator. 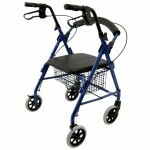 Its height is adjustable so that it can be comfortably used by someone over 6’ tall. 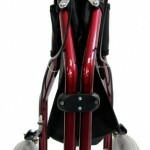 We have greatly appreciated that feature for my tall husband, so that he doesn’t need to be bent over to walk with it. 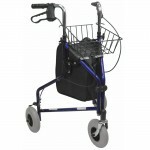 Its wide 8” wheels give it stability and its movement is very nice for walking. 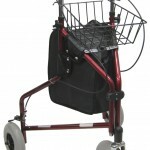 It comes with a useful snap on pouch and a very handy and easily removable metal basket. 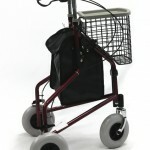 There is a convenient tray that can be placed over that basket to hold items such as a drink or newspaper. 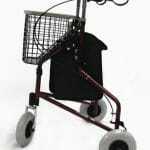 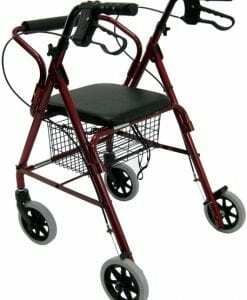 We particularly find it useful to place a flashlight on top of that tray for walking in the dark in our home at night – making it have its own “headlight.” In every way, this is a well-made and excellent rollator-walker.